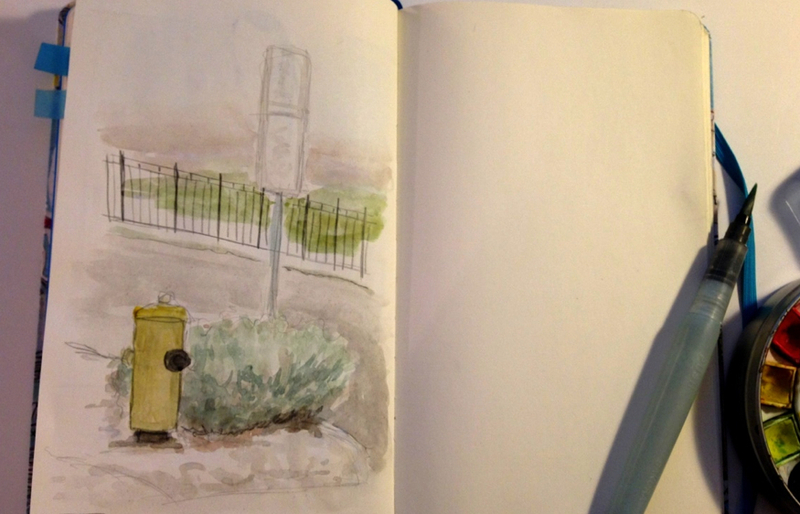 Today the challenge was to draw a fire hydrant. Fortunately I didn't have to go outside to draw one as there are two I can see from our windows. They was too far to see the details, but close enough to get the basic idea. Did you know that fire hydrants are color coded? The color of the bonnet or nozzle cap indicates how much water fire fighters can get from the hydrant and lets them know what size hose to use. It's interesting to see how little fire hydrants have changed over the years. They essentially look the same as they did 100 years ago.